3D Touch on the iPhone 6S and 6S Plus is a pretty cool feature, and will only get better as more developers begin to roll its functionality into their apps. 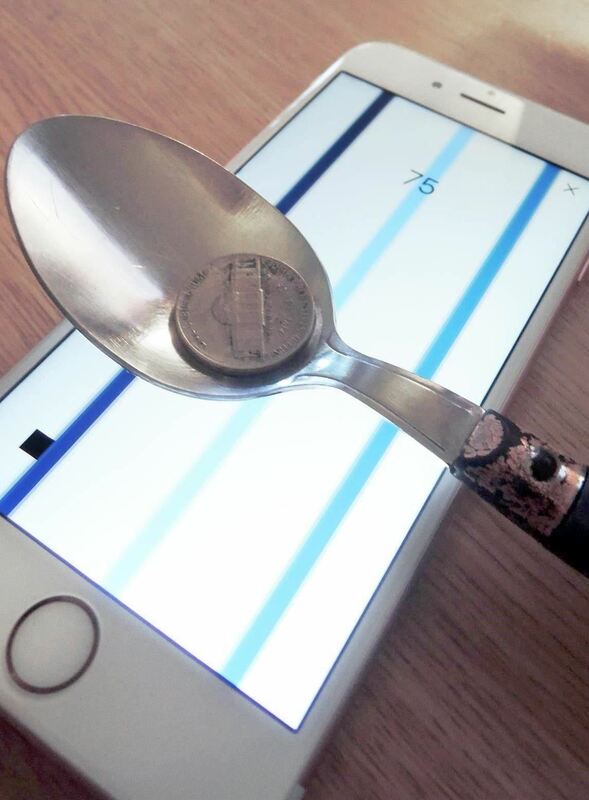 Almost as soon as it was announced, the idea to create an app that used 3D Touch to weigh objects was in the works. Unfortunately, Apple took a hard stand against this usage, stating that 3D Touch was not intended to be used as a scale, and ultimately banned the app from the iOS App Store. But when there's a will, there's a way. Below, I'll highlight two methods that skirt Apple's restrictions to allow you to weigh anything from jewelry to oregano on your display. The first method comes in the form of a game from developer Asaf Avidan Antonir. 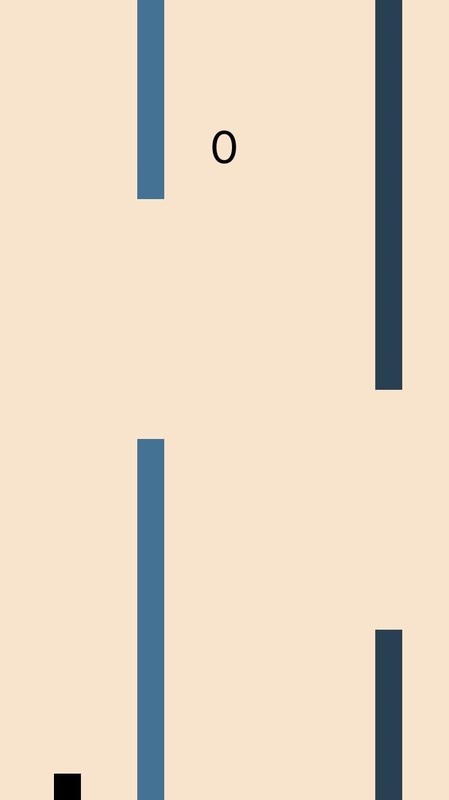 Called Steady Square, the Flappy Bird-like game uses pressure to move a block between tight spaces. Use the link below to get started. 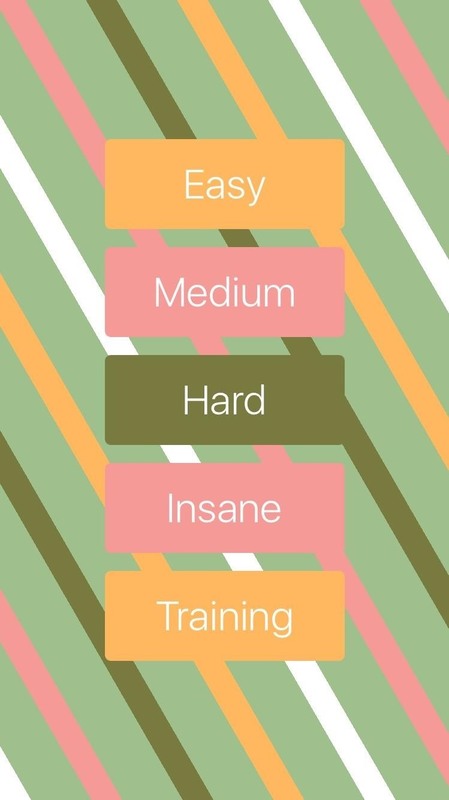 Play around on Easy to get the gist of the game, but the real action is in the Training section. In Training, if you push firmly, you'll see that the reading maxes out at 1,000. 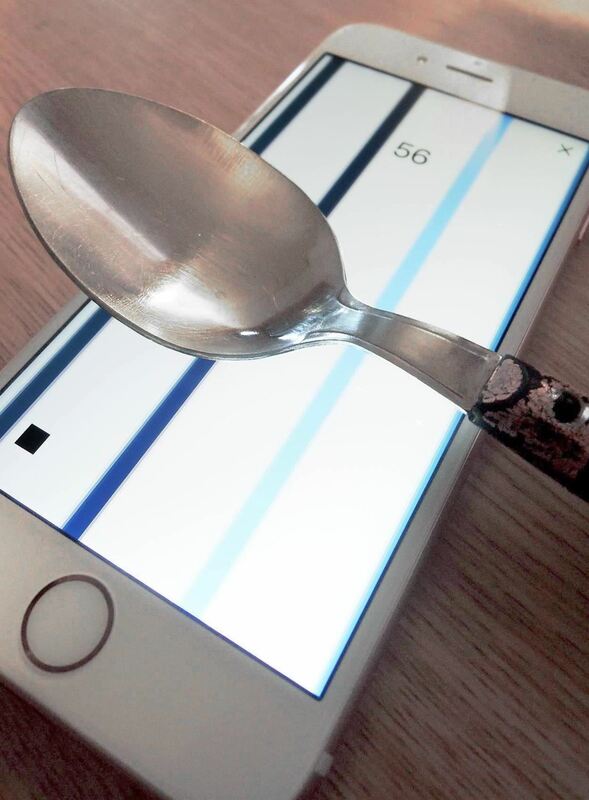 Grab a spoon and place it on your screen; this should register a value. Now, put the object you want to weigh on the spoon and notate the new value. I'll use a nickel to demonstrate. 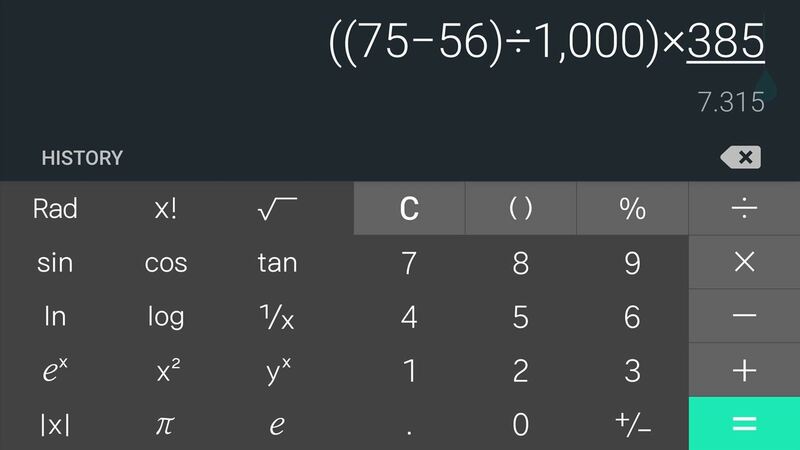 So, using this method, the nickel has a weight of 7.3 grams. 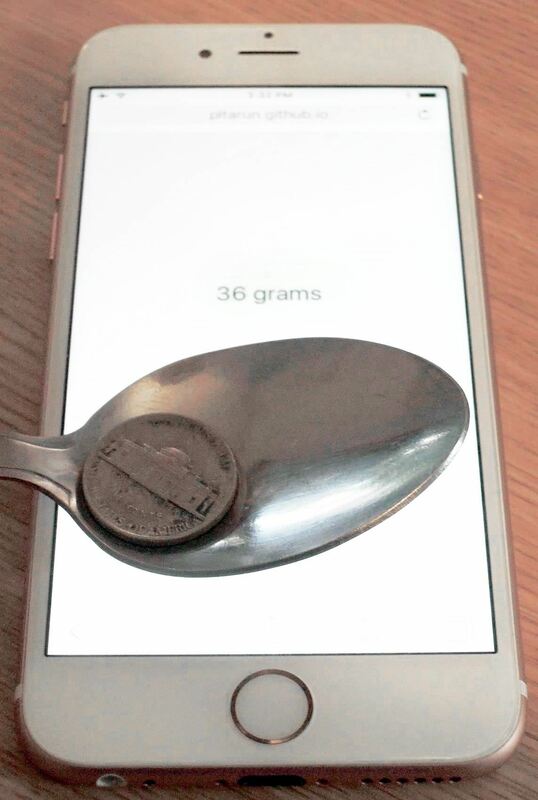 Nickels are supposed to weigh 5.0 grams, so something's a little off here. And in general, I've found the scale to be somewhat inconsistent, but that may improve with objects that may have more substantial weight. 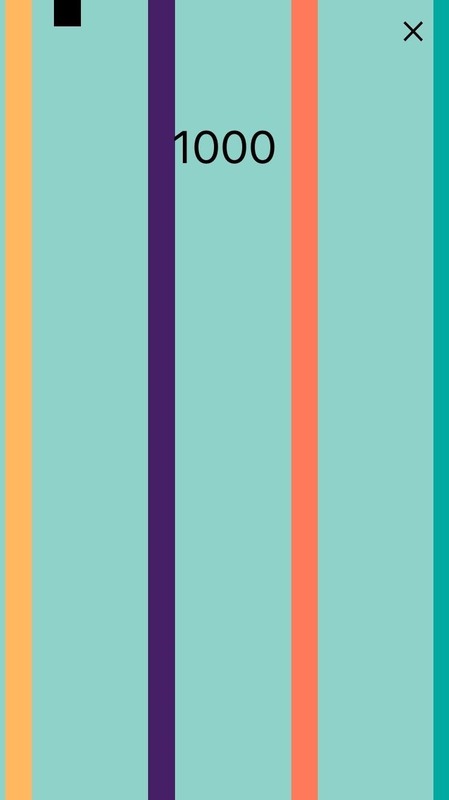 You can check out Asaf's own video about Steady Square here. Hint: Place a shortcut on your home screen by bringing up the Share Sheet while in Safari, then choosing the "Add to Home Screen" option. 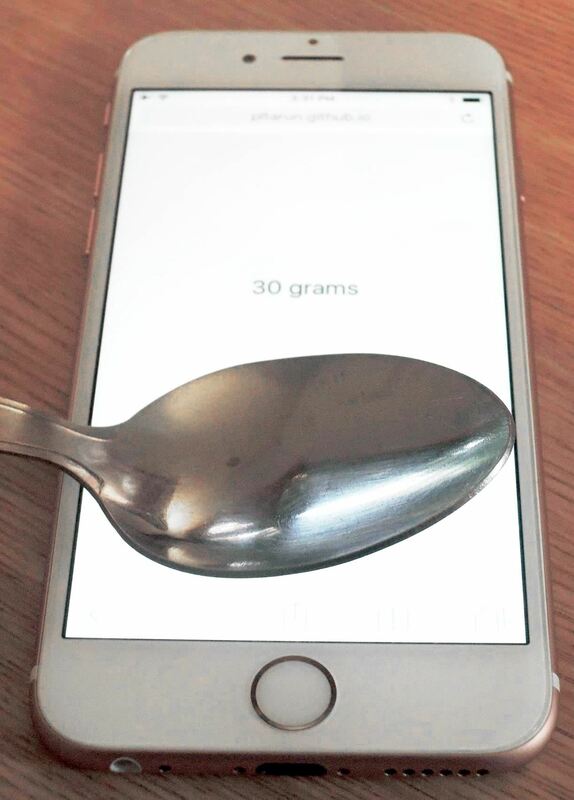 This one is easy... just place the object on your screen to get its weight in grams. While you don't need a spoon or other object as a holder, some objects (like a nickel) won't register on their own without one. Again, it's hard to consider these all that accurate, but your mileage may vary. Let us know what you think of these tricks in the comment section below. And, as always, make sure to follow Apple Hacks over on Facebook and Twitter, or Gadget Hacks over on Facebook, Google+, and Twitter, for more Apple fun.